This is more of a how to rather than a recipe. You can use any dinner rolls recipe you like, we even have several of our favorites here like Classic Dinner Rolls, Parker House Dinner Rolls, and Sour Cream Dinner Rolls. I’m guessing these would even work with the frozen dinner rolls that you bake. 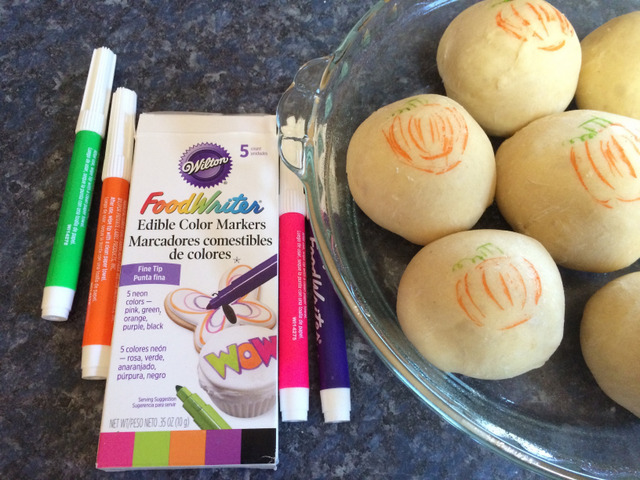 You can get the Wilton Food Writer Edible Color Markers on Amazon or I know my local Michaels Craft store had them and Walmart might possibly. 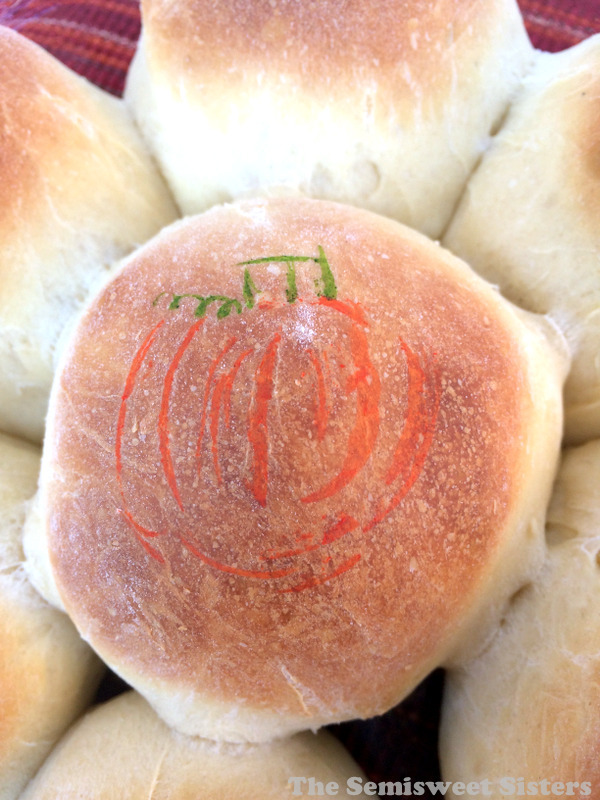 Once your rolls have been shaped and risen uncovered (this dries the top a little so it’s easier to write on), gently make your drawings and then bake. This is more of a how to than a recipe. Use your favorite dinner rolls recipe. After you have shaped them on a pan (don't use an egg wash) let them rise uncovered. 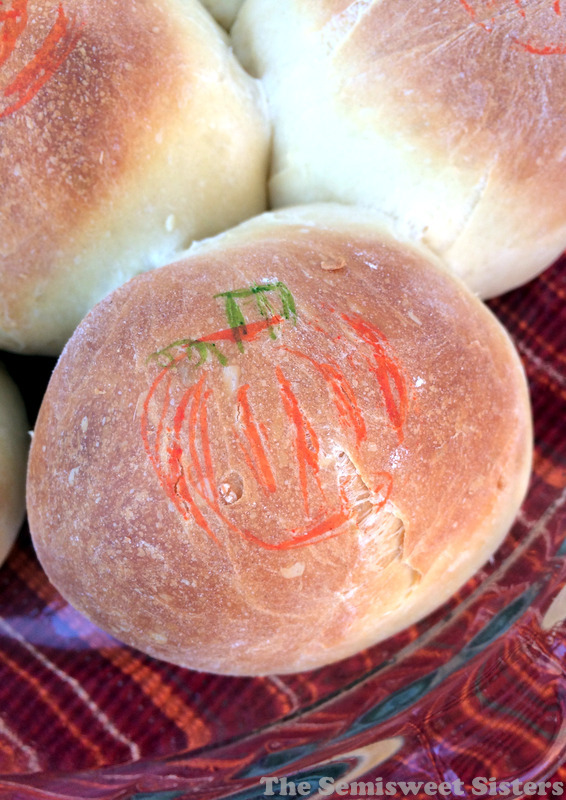 Once they have risen (right before you put them in the oven) use Wilton Food Writer Markers and draw your pumpkins on them. Bake and serve.